Nasi kerabu, popular Malaysian Malay rice dish. Traditional east coast blue rice. Famous in states such as Terengganu or Kelantan . 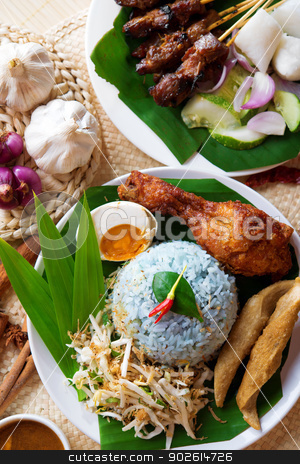 Malaysia food, Asian cuisine.